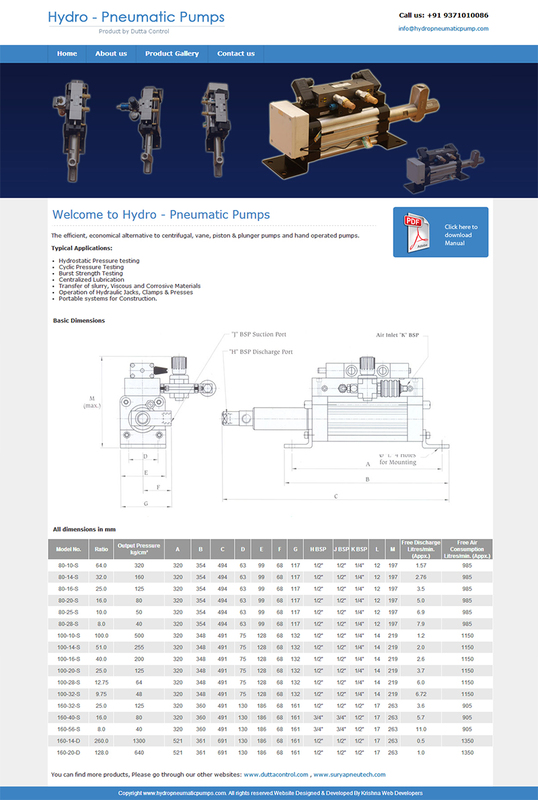 Hydro-Pneumatic Pumps,is product based web site. Having all detail information regarding Typical Applications,Basic Dimensions,All dimensions ,Product Gallery. Hydro - Pneumatic Pumps, a product by Dutta control. The efficient, economical alternative to centrifugal, vane, piston & plunger pumps and hand operated pumps.